By Habtom Tesfamichel | Agriculture is the main economic activity in Eritrea and it employs over 70% of the workforce. The majority of people in the country engage in crop production and livestock herding. Most farmers depend on rainfall.This can pose a problem since rainfall is variable and unevenly distributed across time and place. 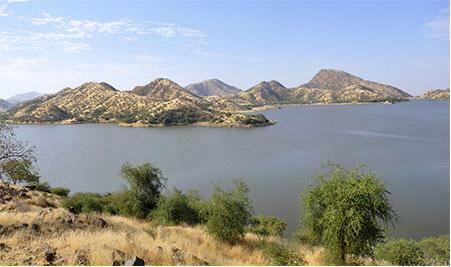 One of Eritrea’s national goals is to guarantee food security. Efforts to achieve this goal include the introduction of modern equipment and technology, various irrigation and terracing schemes, soil and water conservation, and reducing dependence on rainfall. Eritrea’s national food security policy stresses the advancement of agricultural practices with modern technology to produce surplus. The policy encompasses all sectors and reflects the country’s motto of self-reliance.Eritrea’s macro-policy framework is the platform for country’s socio-economic growth and development. Agriculture, food security, and socio-economic growth are interrelated and reinforce each other in the process of overall development.